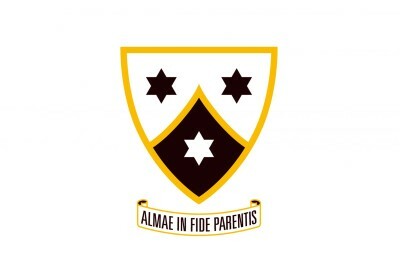 The College Motto, ‘Almae In Fide Parentis’, translates to mean ‘In the Care of a Loving Mother’. It is taken from the Carmelite liturgy for the feast of Our Lady of Mount Carmel. It highlights the College’s connection with the Carmelites, draws attention to Our Lady of Mount Carmel as Patron of the College, underlines the value that the College places on a sense of being cared for by God through the prayer of Mary and emphasises that the College is a place where people care for each other. The College Crest is an adaptation of the Carmelite Coat of Arms, featuring a stylised shield from the original Carmelite design. The brown and white colours are symbols of the brown religious habit and white cloak of the Carmelites. The peaked inner section represents Mount Carmel, the spiritual home of the Carmelites and the scene of the prophet Elijah’s defining witness to God from the Old Testament. The white star represents Mary, the Mother and Beauty of Carmel; and the brown stars, the Prophet Elijah and his disciple Elisha. The College Sporting Crest consists of the hand and sword taken from the Carmelite Coat of Arms. They recall the Prophet Elijah and his zeal for the Word of God “which cuts more finely than any double-edged sword”. The three stars from the College Crest are also featured.